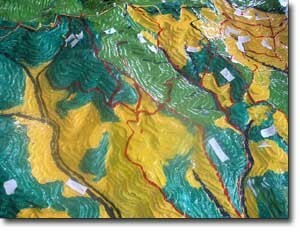 According to the facilitators, the 3D Model has been helpful to communicate with communities having limited knowledge about maps and geographic information systems. 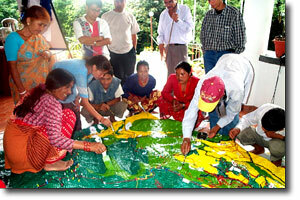 The Tamang community used the 3D model to update ICIMOD spatial data on land-uses and forest management systems. Participants included 24 representatives from different village community groups and 22 from national and international organizations.